Styled with sullivan pant . 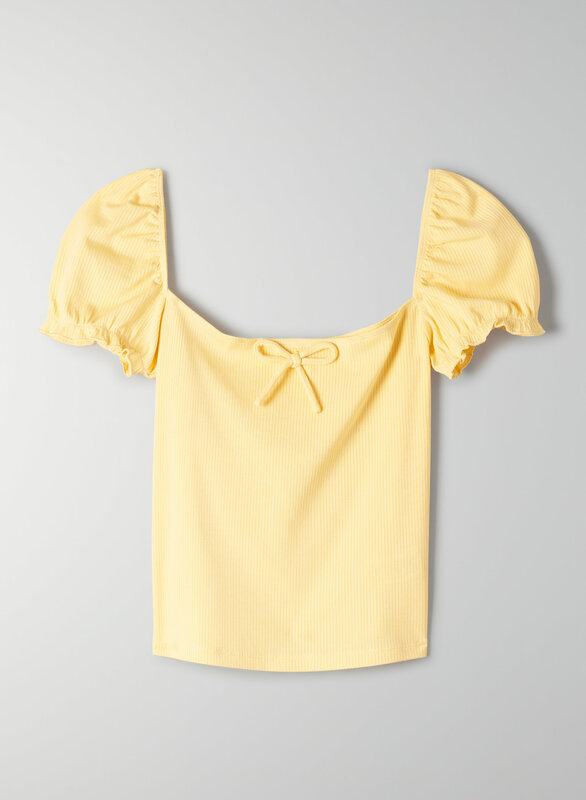 This is a square-neck tee with a ribbed body, ruched princess sleeves and a bow detail at the front. It's made with stretchy fabric that hugs the body. The colour is spot on! Perfect yellow for the spring time and the material is so soft. This top is so flattering on me and it’s true to size. I’m very happy with this purchase!